In July of 2015, two parents and their 18-month-old son were burned to death when a group of Israelis threw firebombs at the Dawabsha family’s home in the village of Douma. A four-year-old child survived the attack, but sustained severe injuries.At least six Israelis were arrested for the attack as “administrative detainees’ after the Shin Bet presented intelligence to Attorney General Yehuda Weinstein. 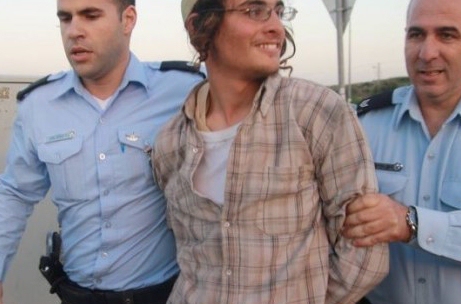 Shin Bet requested permission to interrogate the suspects using “special methods.” This is the first time such measures have been directed at Jewish citizens of Israel. Four of the six known suspects maintain dual-citizenship with Anglo-Saxon countries. Slonim is an Australian citizen. The Sunday Morning Herald reported that he a relative of former Knesset member and right-winger Rabbi Moshe Feiglin. Feiglin recently visited Australia to speak to synagogues in Sydney and Melbourne. Israeli security services allege that Slonim participated in setting fire to a home in the Palestinian town of Khirbet Abu Falah. Meyer is a U.S. citizen. Shin Bet claims that Mordechai committed arson at Dormition Abbey in Jerusalem. Ettinger – a U.S. citizen and the grandson of militant Jewish nationalist Rabbi Meir Kahane – allegedly heads an extreme right-wing organization intent on toppling the Israeli government though violent means. Haaretz reported that there are at least three other Israeli Jews suspected of direct involvement in the Douma killings, but their names are protected by a court-issued gag order. At least one of these three suspects has dual American-Israeli citizenship. His parents have already spoken with the U.S. State Department and urged them to get involved in his case. More at the Alternative Information Center.